Lucine Health Sciences via Hormones Matter, is conducting research on the risks for blood clots when using hormonal contraceptives. Blood clots are a serious complication of hormonal contraceptive use and can be disabling or even fatal. The results from this study will be used to help inform women about their personal level of risk, and factors affecting it, when using hormonal birth control. 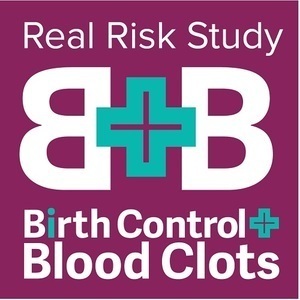 Although some risk factors are already known, such as a family history of blood clots, increasing age, and smoking, many women who have suffered blood clots while on hormonal contraception have none of these risk factors. We believe that a deeper understanding of additional medical and lifestyle factors is crucial to providing women with a complete picture of their personal risk with taking hormonal birth control. The study will involve answering an anonymous survey with questions about you or your family member’s medical and lifestyle information, and for those who have had blood clots, information about the blood clots and symptoms prior. For more details and to take the study, click the link above that represents the group you fall into. If you know someone who fits the eligibility criteria outlined above, please share this page with them. Here is what we have learned so far. Hormonal Birth Control: Who Is At Risk of Serious Side Effects?